What an irony. Fear of the Syrian government and its many-tentacled security apparatus is greater now even than it was before the revolution began. Why should that be? The government is generously offering ‘reconciliation’ deals across the country, with gracious amnesties like the one that enabled several hundred rebel fighters to leave the exhausted city of Homs with light weapons in early May. Yet anyone who knows Syria from the inside knows full well that the Assad regime’s generosity and grace is to be feared above all else. When peaceful calls for dignity and reform were met in March 2011 by crushing violence from the outset, the protesters knew what awaited them if they were arrested. Their bravery in breaching the fear barrier even to take part in such demonstrations is beyond admirable. Tens of thousands have gone missing over the last three years, detained in prison, never seen again, or sometimes simply returned to their families in a body-bag as a warning, like the mutilated body of the 13-year old Hamza Al-Khatib, early icon of the revolution. Like so many, Hamza was not even demonstrating – he was simply in the wrong place at the wrong time. In this country we face no repercussions for not voting – in Syria it is very different. ‘If you are not for us, you are against us.’ We in the West may dismiss the Syrian election as an absurd process, a mockery of democracy. We have that luxury. But if you are Syrian it is a matter of life and death. 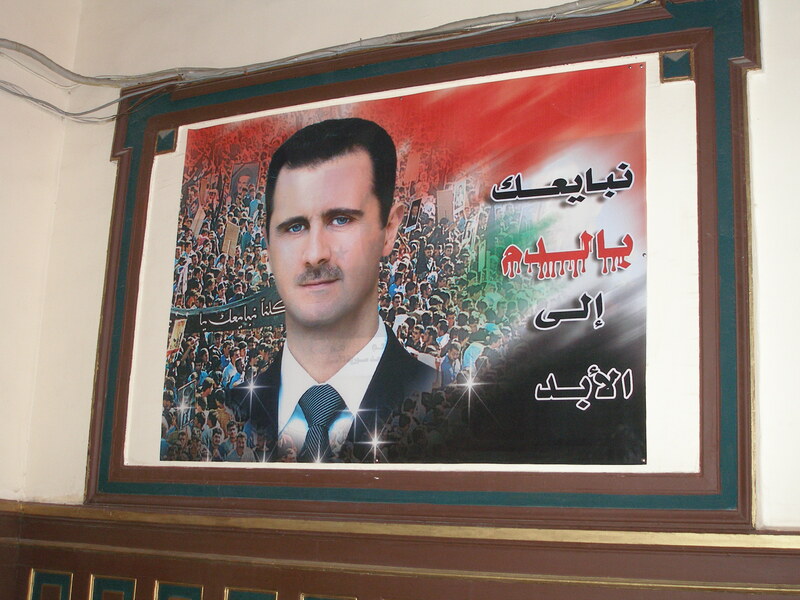 Fear is forcing thousands to vote for Assad, whose tender mercies are well known. Stories are circulating about the ways in which the regime seeks to take revenge on those whom it considers have betrayed it. Even those who have done nothing and never taken sides are at risk. All it takes is one report written by one security official who takes a dislike to you. It has already happened to several of my neutral Syrian friends. Whilst western democracies will scoff at Syria’s election process, Russia and Iran will use it to their advantage. It plays beautifully into their narrative of supporting ‘whoever is elected by the Syrian people’ and legitimises their unwavering support of Assad. Syria has lost c40% of its GDP since 2011 according to the Damascus-based Syrian Center for Policy Research in conjunction with the UN and the IMF. Eleven million have lost their livelihood. Fear of losing their right ever to live in their country again is driving them to vote. Hard as it may be for us to grasp, for them it is a vote for life or death.